Elgin Ranches For Sale - Elgin ranches for sale including over 14,000 Real Estate Listings. Search Elgin ranches for sale in MLS. Photos, Videos & Listings. 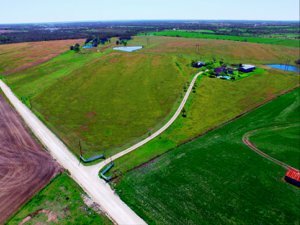 In Elgin, Texas, you can have a wonderful ranch or farm for riding horses, raising cattle, or growing crops and have an easy commute to Austin, Houston, or San Antonio. It is a friendly, close-knit community and is a suburb of Austin. Elgin is located in Bastrop, Lee, and Travis Counties on US Highway 290 between Manor and McDade and only 25 miles to downtown Austin. Elgin Veterinary Hospital is available for your animal health needs, large animal or small animal. The Elgin Veterinary Hospital is located off Highway 290 in the center of town. Texas Lost Pines Riding Club, located in Elgin, is a great family club for horse lovers. Every year, the club hosts the Elgin Rodeo the second weekend in July. The club also has play days with horse riding competitions for all age groups. In the fall, winter, and early spring, six to eight 4D Barrel Races are held. Each year, the club has four to six Team Ropings, six to eight Ranch Sortings with multiple practice events and clinics, Trail Rides, charity events, and the club participates in multiple parades throughout the year. Any time the arena is not being used for an event, club members have access to the arena. The club donates the use of the arena to the Elgin FFA every October for its annual rodeo event. There are several nice restaurants, including Southside Market & BBQ, Jalisco Mexican Restaurant, Meyer's Elgin Smokehouse, Morelia Mexican Cafe, Aviator Pizza & Brew Company, Elgin Local Goods, and many more. Churches in Elgin include Lost Pines Cowboy Church, Mt. Moriah Baptist Church, First United Methodist Church Elgin, St. Peters Lutheran Church, Sacred Heart Catholic Church, and several others. For shopping there is a Walmart, H-E-B plus grocery store, Bealls, Elgin General Store, Texas Blackland Hardware, Parker's Building Supply, etc. just to name a few. Also in Elgin is Coyote Creek Farms where you can buy grass-fed beef raised on 100% USDA certified organic pastures. The public school district for Elgin is Elgin Independent School District. Austin Community College has a campus in Elgin offering a full array of classes. Elgin has several parks: Elgin Memorial Park, Morris Memorial Park, Shenandoah Park and Greenbelt, Thomas Memorial Park, and Veterans' Memorial Park. Elgin also has a municipal swimming pool. The Elgin Christmas Tree Farm is a fun place to have hayrides and parties. A Pumpkin Festival is held at the Elgin Christmas Tree Farm in the fall, and you can choose and cut your own Christmas tree at Christmas time. Thank you for visiting. Be sure to save your Elgin TX ranch search, it's free.